I REALLY LIKED THE STAFF , ALWAYS VERY HELPFUL AND KIND. Comfortable bed, clean linen. Security was good, slept peacefully. Great location, price is good , staff very helpful and everything else was perfect. The staff and fellow back packers are all super friendly and helpful and welcoming. Everyone greets you with a smile and is always there to lend a hand. Everything is clean and well kept and there is a lovely front yard to sit and bask in the sun. There is also a supermarket and takeaway places and card facilities less than 10 minutes away( a R30 uber trip!) Plus there are huge gorgeous horses you can go pet and feed just around the corner! The staff went out of their way to accommodate my staff. I would definitely use them again for my staff to stay at. I was very impressed with Patience being so willing to help. 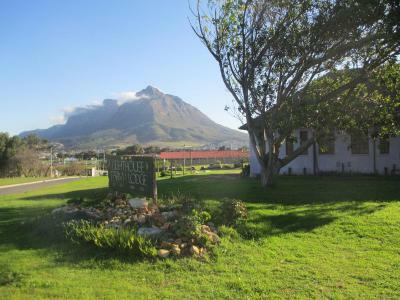 Lighthouse Farm Backpackers features accommodation set in Cape Town, 5.6 miles from CTICC and 5.6 miles from Canal Walk. A car rental service is available at Lighthouse Farm Backpackers. Kenilworth Race Course is 6.2 miles from the accommodation, while Long Street is 6.8 miles away. 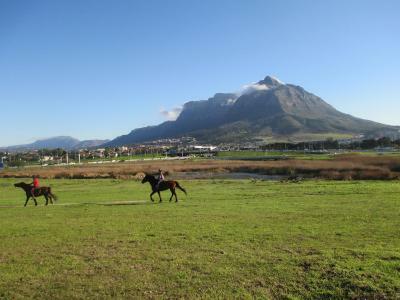 The nearest airport is Cape Town International Airport, 8.1 miles from the property. Lighthouse Farm Backpackers has been welcoming Booking.com guests since 18 Sept 2015. When would you like to stay at Lighthouse Farm Backpackers? This mixed room consists of four bunk beds, including linen. Guests have access to a shared bathroom (male and female bathrooms are separate), lockers and a fully-equipped self-catering kitchen. This mixed room consists of three bunk beds, including linen. Guests have access to a shared bathroom (male and female bathrooms are separate), lockers and a fully-equipped self-catering kitchen. Standard Twin room has one Bunk bed and a sink. All beds are serviced with linen and there is a shared bathroom (male and female bathrooms are separate), lockup lockers for each person and a full self-catering kitchen. This room is fully furnished with one comfortable double bed, including linen.Guests have access to a shared bathroom (male and female bathrooms are separate), and a fully operational self-catering kitchen. House rules Lighthouse Farm Backpackers takes special requests - add in the next step! All children under 16 years are charged ZAR 100 per night for extra beds. Lighthouse Farm Backpackers accepts these cards and reserves the right to temporarily hold an amount prior to arrival. Please note that the check-in and key-collection take place at: Alexandra Road, 7405 Cape Town. Please inform Lighthouse Farm Backpackers in advance of your expected arrival time. You can use the Special Requests box when booking, or contact the property directly with the contact details provided in your confirmation. The shared bathroom. A family room should have A private bathroom on its own. Very homely environment. staff was very friendly and helpful. Bathrooms need a bit of attention. Website photographs need updating and people that do not know Cape Town, need to be informed about the exact area. I hired a vehicle and I was unfortunately worried that something would happen because of the area. I read that if you need to go into town, you should catch the train and sit in the 1st class at the front. When we were there, a person was told not to catch the train. I have stayed in many backpackers around the world and in South Africa, but this was unfortunately one that I would not recommend again. Showers and toilets not in a great state. Woke up Monday morning and dustbins in kitchen were covered in flies and possibly maggots in the organic bin. Not something you want to see if you go to make breakfast/coffee in the morning. Place is starting to go backwards with regards to International backpackers standards. You need to purchase internet voucher at the desk. We did however received 1 GB free per person, for 8 days stay. A company also held their workers there during our entire stay, waking us daily at 6 am. One of the cleaning staff was arrogant and doesn't understand customer service and to interact well with guest. This will derail the reputation of the Farmhouse.